As a New York workers compensation services provider, we understand that no two businesses are alike. Despite these differences, all New York State businesses must meet the compliance needs of workers compensation. This is where GCG differentiates itself as a total source solution for workers compensation services. GCG custom tailors our workers compensation service offerings in such a way that compliance costs are at their absolute lowest. We seek to introduce the best combination of services that will help the New York employer meet all workers compensation challenges-at their lowest long term costs. We develop long-term relationships with clients, understanding their processes, people and needs to keep costs at their absolute lowest. We strive to position our clients with a strategic operational advantage-allowing them to focus on the revenue-driving components of their businesses rather than costs. 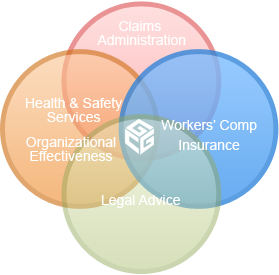 GCG acts as an advocate and counsel for our clients with regard to all workers compensation issues. GCG Risk Management is the most complete, experienced and progressive risk management services organization in the state of New York.